You like draft picks? Well here are all the first rounders 8-bit style!!! Very cool!!! Good job 6ix6ix8. 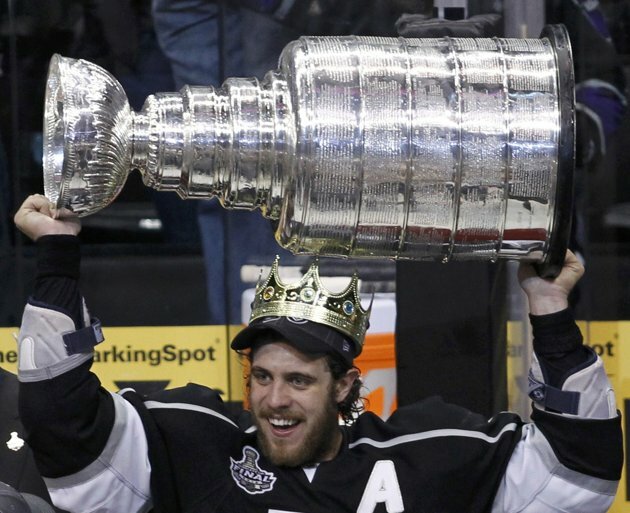 The LA Kings were quick to hand out the Burger King crowns after their victory. I guess anything is cool when you are hoisting the Stanley Cup above your head. Me jealous of the cup…and the crown. I have now become a LA Kings fan. uh, can I play too? Man, I gotta get my self to Boston. Some rinks have Timbit hockey, goalie races or sumo skaters during the intermissions. In Carolina, they got TWISTER!!!! I gotta get to Carolina to see a game. Hey ladies, rinks are cold. I say make the rinks even colder. And Blackhawks players, score more hat tricks…the game needs more of these hard working employees.